Our Barcelona Design philosophy is present across our entire collection of Exclusive hot tubs, but its essence was born with the conceptualisation of the Spa Barcelona, with a design created to optimise user experience in a large space with the latest in hydromassage technology. It is a 4-person hot tub, with two parallel comfortable loungers with neck jets for a massage spanning from your neck down to your calves. 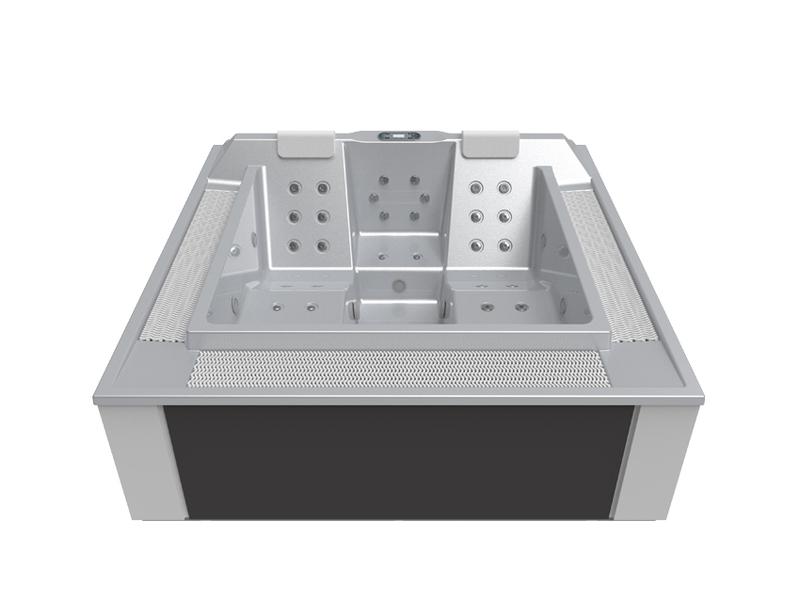 It is an absolute leader in domestic hot tubs for couples or families who prefer straight lines and high-quality ergonomics. 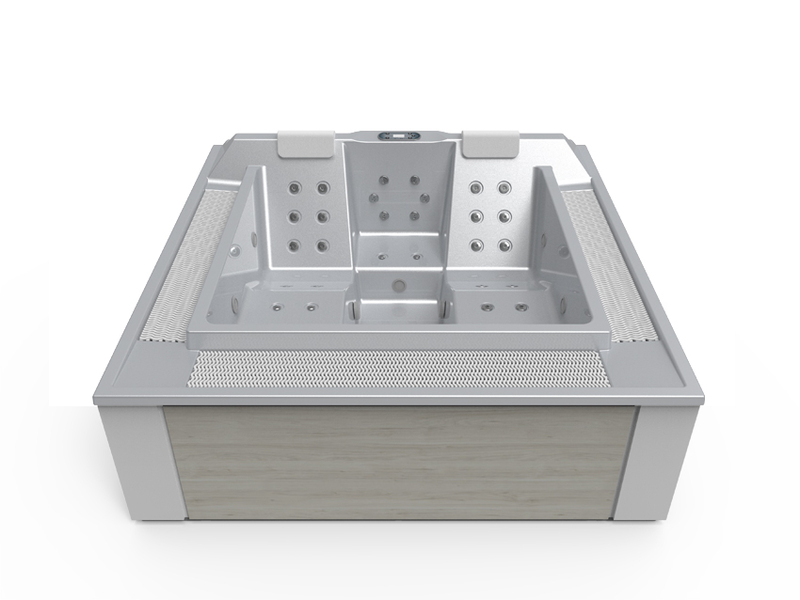 However, just like the rest of the Exclusive range, the Spa Barcelona is also suitable for professional use, especially in areas or establishments where it won’t be used intensively. Buying a hot tub like the Barcelona means opting for design and versatility. 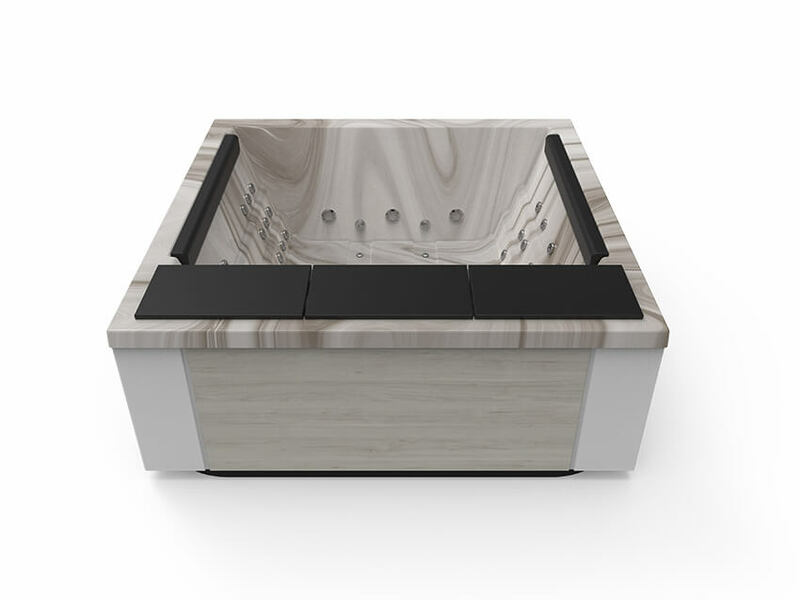 This exclusive hot tub, with great performance indoors or outdoors (there is even an option to buy the hot tub without a cabinet to build it into the ground), has a unique layout of jets and nozzles in the different seating positions. 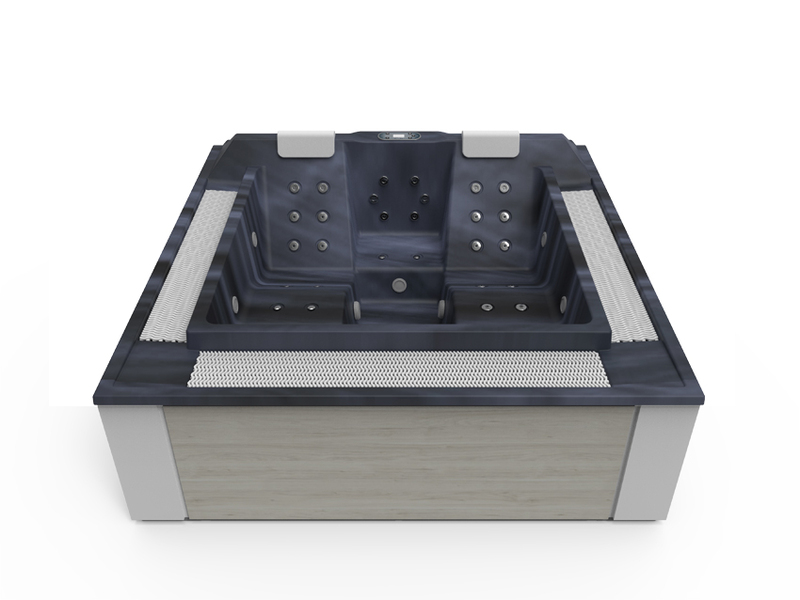 These different positions make it perfect for relaxation treatments, muscle stress relief, lipo action and correcting poor posture. The Spa Barcelona is one of Aquavia Spa‘s largest portable hot tubs, yet its high energy efficiency is practically unheard of in terms of hot tubs from other brands. 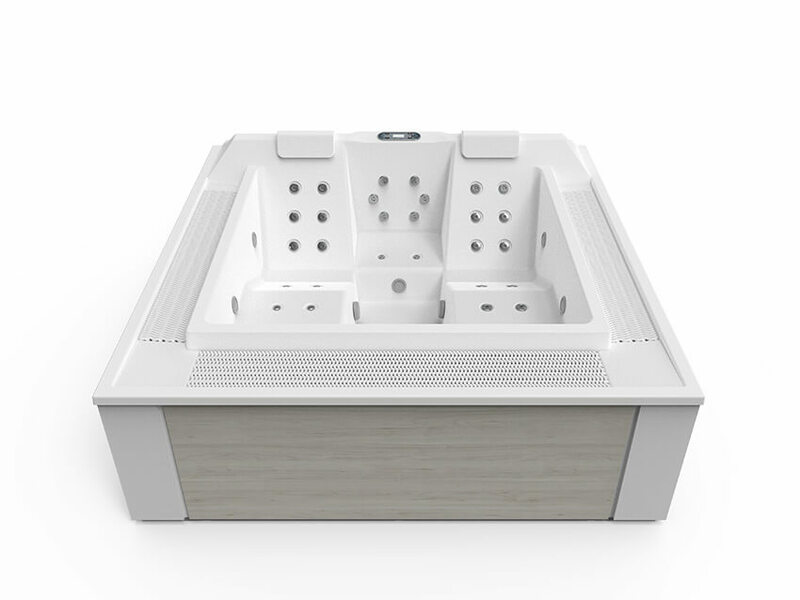 Its EcoSpa and Nordic Insulation System features provide 80% energy savings to maintain the water at 38ºC when outdoors and at extreme temperatures of up to -15ºC. 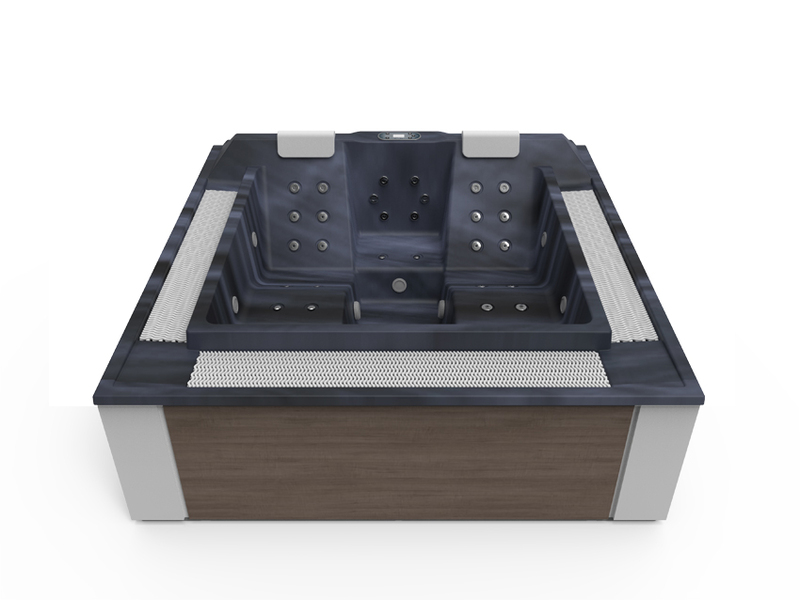 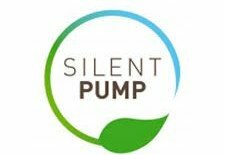 Its high-pressure filtration system (High Performance Water Care) and disinfection with Ultraviolet Treatment keep the water pure, clean, and crystal clear at all times without having to use disinfectants. Gone are the days of a chlorine smell and red eyes; with the Spa Barcelona you will enjoy a fully enveloping experience of well-being and relaxation: Colour Sense for a steamy chromotherapy session (4 multicoloured underwater LED lights) and Surround Audio System (4 speakers, 1 subwoofer) for 360º of sound controlled from your mobile device. 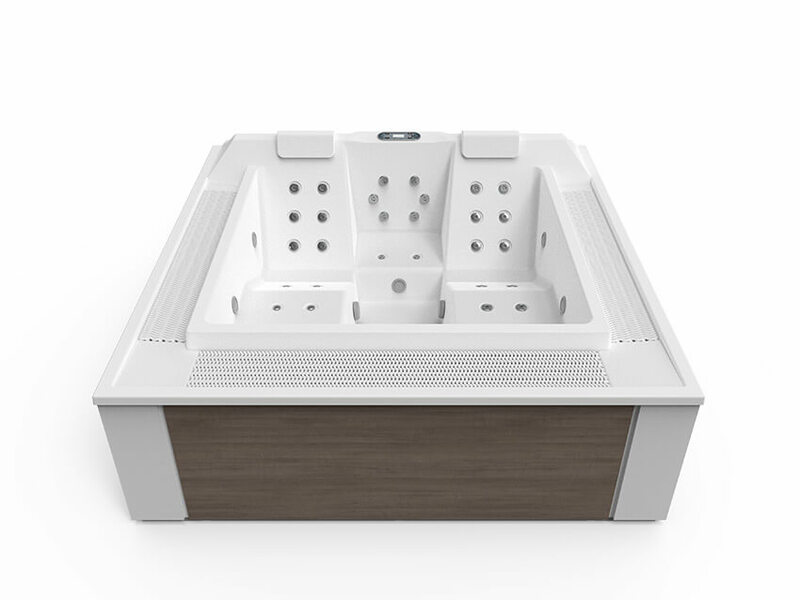 You can also control all of the functions of your Spa Barcelona remotely (Wi-Fi Touch Panel): imagine switching your hot tub on when you’re leaving work to find it ready when you arrive home, or going on holiday with the peace of mind of knowing that your hydromassage tub will maintain its water purity while you’re away. 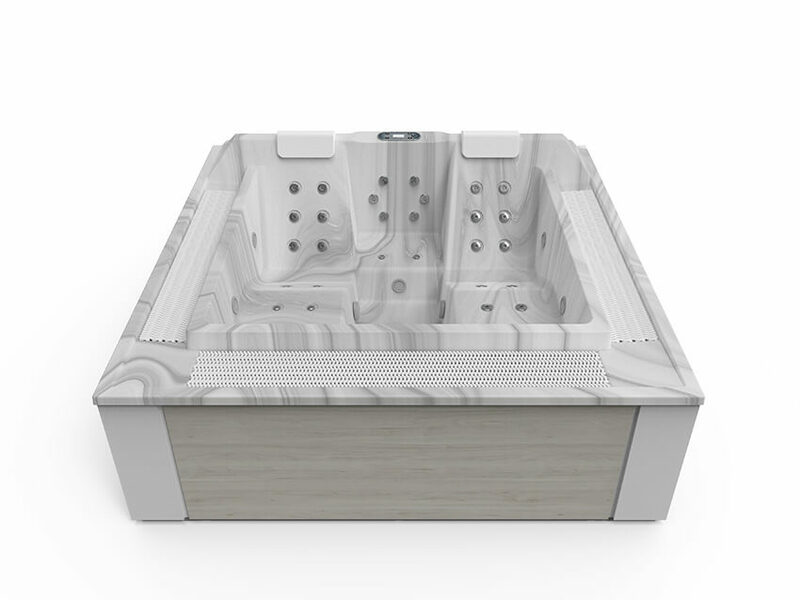 Everything you can imagine is possible with your Spa Barcelona from Aquavia Spa.